Its Latin name is Polycladida pardalis, and it belongs to the phylum, Platyhelminthes. 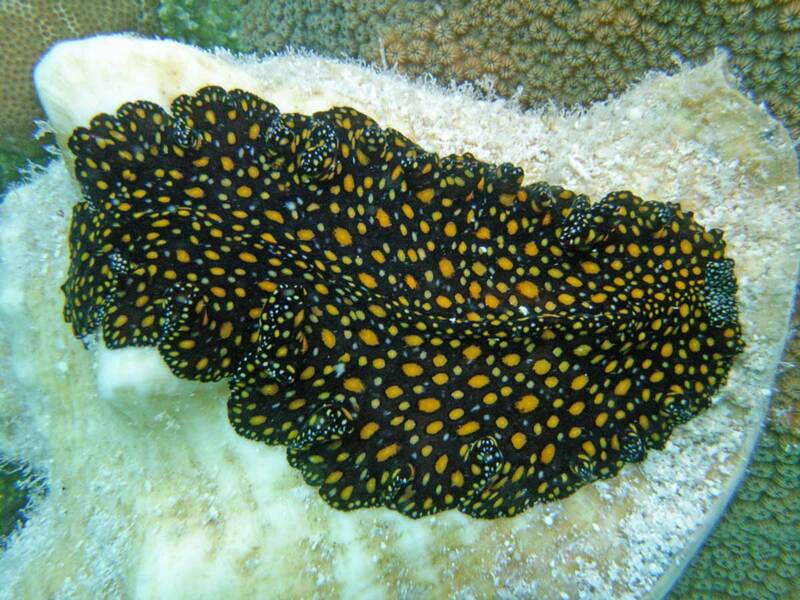 It is easier to call it a leopard flatworm and it looks awesome. It is hermaphroditic and can live up to a year. I put this fellow on a dead conch shell to take his photo.